You are viewing an old revision of this post, from May 29, 2016 @ 01:02:04. See below for differences between this version and the current revision. I recently started playing Mafia II on Steam. When the game was released for PC in 2010, it supported using an XBOX 360 or Playstation controller. That’s good, but the game features an extremely in-game system for controller button prompts. Over the years, different people have apparently created mods for the game that replace these generic prompts with the correct prompts for PS3 and XBOX controllers. Since the game is so old, however, none of those have been updated in years and everyone I tried failed to work with the current version of the game on Steam. 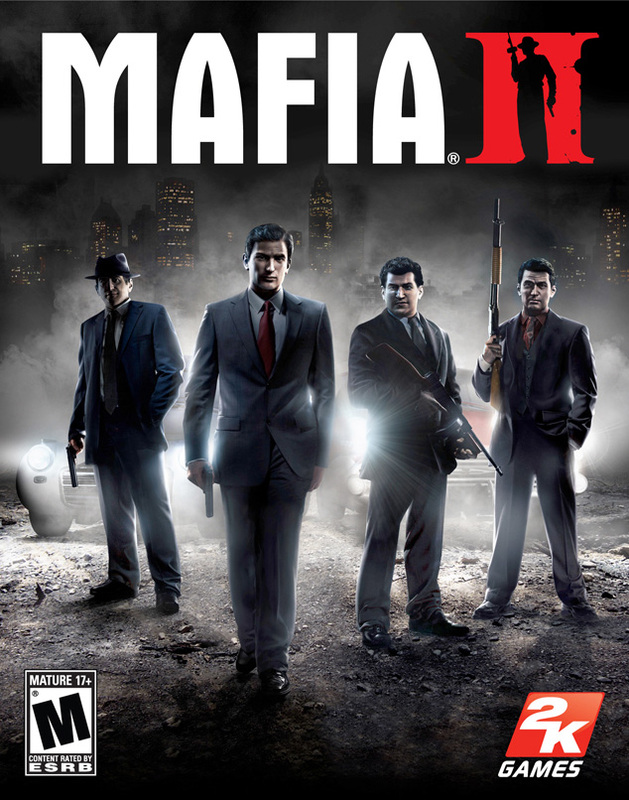 <a href="https:/ /brian.carnell.com/wp-content/ uploads/2016/ 05/Mafia_II_ Cover.jpg"><img class="alignright wp-image-26359 size-thumbnail" src="https:// brian.carnell.com/wp-content/ uploads/2016/ 05/Mafia_II_ Cover-118x150.jpg" alt="Mafia II Cover" width="118" height="150" /></a>I recently started playing <a href="http:// store.steampowered.com/app/ 50460/">Mafia II on Steam</a>. When the game was released for PC in 2010, it supported using an XBOX 360 or Playstation controller. That's good, but the game features an extremely in-game system for controller button prompts. <a href="https:/ /brian.carnell.com/wp-content/ uploads/2016/ 05/Mafia_II_ Cover.jpg"><img class="alignright wp-image-26359 size-thumbnail" src="https:// brian.carnell.com/wp-content/ uploads/2016/ 05/Mafia_II_ Cover-118x150.jpg" alt="Mafia II Cover" width="118" height="150" /></a>I recently started playing <a href="http:// store.steampowered.com/app/ 50460/">Mafia II on Steam</a>. When the game was released for PC in 2010, it supported using an XBOX 360 or Playstation controller. That's good, but the game features a ridiculous in-game system for controller button prompts. When the game wants the player to press a given button, it uses generic B1, B2, etc. labels for the buttons rather than the actual controller-specific button labels. I'm not aware of any other game that uses such a screwed up system. When the game wants the player to press a given button, it uses generic B1, B2, etc. labels for the buttons rather than the actual controller-specific button labels. I'm not aware of any other game that uses such a screwed up system. Over the years, different people have apparently created mods for the game that replace these generic prompts with the correct prompts for PS3 and XBOX controllers. Since the game is so old, however, none of those have been updated in years and everyone I tried failed to work with the current version of the game on Steam. Over the years, different people have apparently created mods for the game that replace these generic prompts with the correct prompts for PS3 and XBOX controllers. Since the game is so old, however, none of those have been updated in years and every single one I tried failed to work with the current version of the game on Steam. A little Googling led me to <a href="http:// forums.steampowered.com/forums/ showthread.php?t= 2462569&amp; page=3">this thread</a>, however, which included a post from earlier this month where a user tracked down a mod that still works for the PS3 controller. The user then helpfully modified that mod to also work for the XBOX 360 controller. A little Googling led me to <a href="http:// forums.steampowered.com/forums/ showthread.php?t= 2462569&amp; page=3">this thread</a>, however, which included a post from earlier this month where a user tracked down a mod that still works for the PS3 controller. The user then helpfully modified that mod to also work for the XBOX 360 controller.